1) I think the actuall silverfish mob will look different, smaller atleast. 2) If it will spawn in the outside world (or if you have a wooden house in a cave) it could destroy some wood blocks (silverfish in real life do so). 3) Since it's an insect, I think it will have the same healthpoints as the spider. 5)If real-life silverfish are found in dark areas, is it more likely for them to pop out in darker area's of the cave? 6) What will they drop? I think slime, cause all insects you squash in real life are gooey inside. 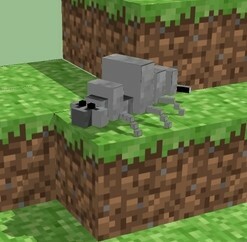 Silverfish are small, bug-like mobs which have silver skin and black eyes that hide in special blocks found in strongholds. These blocks will look identical to stone bricks, cobblestone, or regular stone but take slightly less time to mine. When the block is mined, the silverfish pops out and attacks. In regular gameplay, Silverfish blocks occur rarely. If left alone, silverfish can re-enter some blocks, namely cobblestone, regular stone, and stone bricks. Silverfish don't damage the player directly, but they will scurry towards the player and push them around, which can be aggravating and sometimes dangerous. 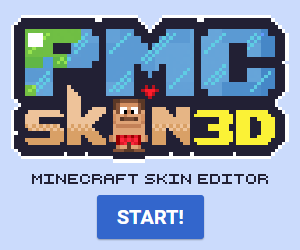 As of 1.0.0 (and possibly earlier), Silverfish can cause damage to a player. This occurs when a silverfish is touching a player and the Y-coordinate of either the player or silverfish occurs. This can easily kill a player, since - in a confined space - receiving damage causes the player to perform a short "hop," which counts as a Y-coord change, which allows for the silverfish to damage the player again as the player is coming back down from the initial damage hop. When attacked (but not killed), Silverfish may awaken other Silverfish blocks within a 21x11x21 block area around them. This can lead to a terrifying swarm if there are enough in the vicinity, and an uncontrolled swarm can quickly destroy dozens of stone bricks within a Stronghold. They scurry away after the player moves a short distance. In addition to the special blocks, monster spawners that spawn silverfish can also be found in strongholds. Silverfish spawn in strongholds from real blocks, you mine a regular block and it activates as a safety mechanism, so the caves and outside world spawning is out, silverfish will be maybe 10% smaller than shown in picture, they won't eat wood. IMO I think they should drop rotting flesh, and I think it should take as many hits as a medium sized slime. They will eat wood.on the minecraftwiki it said they are really rare and will rarely spawn while breaking blocks. From what I heard, they spawn (they are a lot smaller... I think) when you destroy blocks. What blocks? I don't know. The special stone brick block (includes cracked and mossy) starts a chain reaction. I thought they were known to eat wood and other things like that (in real life). They could also pop out of sugar cane (in real life it has a diet of sugar and starch).